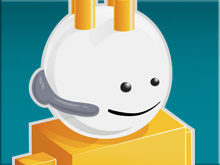 Wouldn't it be super cool if the Silverlight apps you build for the desktop can now run on Millions of Mobile Devices ? 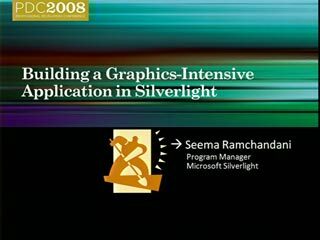 If you have been building Silverlight applications and are wondering how to extend them mobile devices, this is just the right session for you. 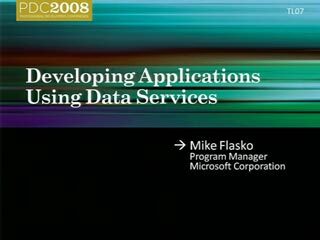 In this session, filled with some very cool demos you will not only learn how to extend your existing Silverlight 2 applications to work on Windows Mobile but also learn how to build rich mobile Silverlight apps that play media, handle simple gestures, have cool animations, and web services. We will also talk about tooling enhancements in Visual Studio that support Silverlight app development on Windows Mobile, what to consider when delivering eye-popping UI on mobile, and help you understand the key differences from developing Silverlight apps for the desktop. Giorgio Sardo is a Technical Evangelist for Microsoft Corporation. Moving from Italy to the United Kingdom, Giorgio studied at Polytechnic of Turin and successfully obtained a Master of Computer Engineering with distinction. For four years he has been a Microsoft Student Partner Lead, leading a national university community forum. 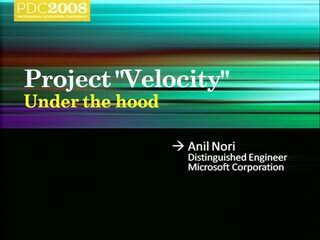 In 2007 he started working in Microsoft UK as User Experience Consultant, delivering stunning solutions based on Silverlight, WPF and Silverlight for Mobile. Later 2008 Giorgio will move to Redmond, to work as Technical Evangelist for Web Technologies (ASP.NET, IE8, ...). Very interesting subject ! 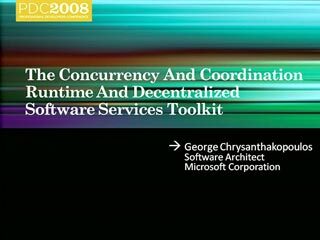 Where can I get a video or/ and white paper of this session? 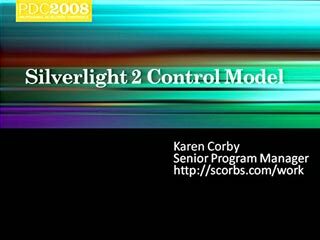 I'm struggling with a choice of technologies for a mobile ui and was wondering if silverlight mobile or silverlight mobile2 was planning on adopting a model like Adobe Air where it is less dependent on the browser and can run as a standalone application. I'd like to build my UI in Silverlight (for obvious reasons) but i need to write it so that the app can run in detached mode (no connection). Any thoughts on this or any guidance you could give me? Was also wondering if there is going to be support for native mobile Silverlight/WPF applications that run outside of the web-browser or will support be added through an embedded WebBrowser control? Would be nice to see mobile OEM’s supporting hardware acceleration of both Silverlight and DirectX mobile to enable a very rich interactive user experience. How about a little background on how this will run on the Symbian Phone? How are you getting round the use of the compact framework? It's already the end of January 09. Where's the CTP? A word of advice... invest less on pro-Vista ads and more on the developers who can convince their employers that solutions like Silverlight are cost-effective to create, deploy and support. 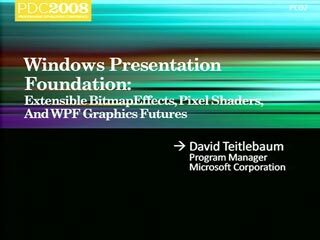 For the past 4 years, I've passed on using WM because it has been missing something like Silverlight 2. Primarily for finger-touch applications. And now, my users (thousands) all use other mobile OSes. 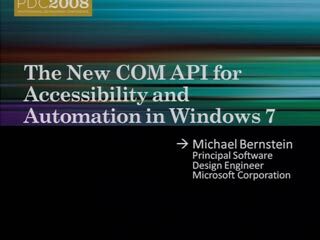 I am puzzled at the fact that MS doesn't understand that developers have a huge influence on the market, albeit one organization at a time. Wake up... release the CTP ASAP! 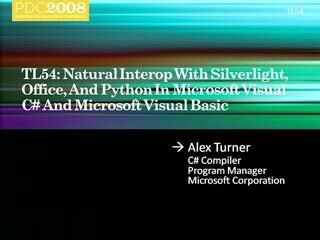 Please give us some more information about Silverlight Mobile. 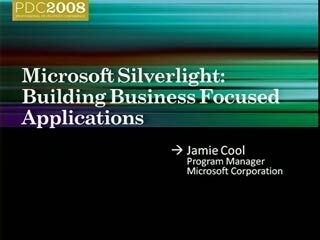 Now it's June and I still cannot find the Silverlight for Windows Mobile CTP.... where can I find it ? And another question. For offline scenarios, can I persist data to a local storage?